Mobile learning (mLearning) is all the rage at the moment, but how do you get started and how do you maximize the mLearning plans you have? Simple, follow this free online course facilitated by 7 mobile experts and turn your mLearning knowledge into a practical project. Interested? Join the online google group, the course wiki and enter the mLearning conversation with other peers. The MobiMOOC course will run for 6 weeks (2 April – 14 May). The target group for this course is … anyone interested in mLearning. Although the course is open to all, it is useful if you have some experience with social media. If you have a mobile phone or device, than grab it or go and buy one, it will make your learning much more authentic. The MobiMOOC course will start with an introduction to mLearning, getting everyone comfortable with some of its key features, and gradually moving into the more complex technical, project planning and philosophical topics. The course will feature mLearning examples from the academic, corporate and non-profit world, and look at both simple and on the edge projects from both the North and South, as the South has been an inspiration for mLearning. MobiMOOC is a fully online course, which follows the MOOC (Massive, Open, Online Course) format. This format uses a lot of social media to enable all the participants and the facilitators to stay connected, build a network, exchange experiences. As the course is focusing on mobile learning, it is called MobiMOOC. As much of a MOOC is about exchanging notes with peers, and constructing knowledge collaboratively, so responsibility of the learning is with you, the participants and as such you need to self-regulate your learning. To optimize your learning it is important to plan your learning actions. However, we are all in this together! You can be sure that with the mLearning expert facilitators of the course and your peers, you will get your hands on great resources, inspiring discussions and all of our minds will be challenged and inspired. If you do not like e-mails, you can also add the discussion threads to a RSS feed. The main course sites are accessible for a lot of mobile devices (e.g. google groups for discussing which uses e-mails, twitter, facebook…). The course will be running: from 2nd April 2011 until 14 May 2011. Every week focuses on a new topic. Join the MobiMOOC google group (this will be the primary site for discussions) in order to get into the course and be kept up-to-date. You need to sign in with a google account. Important: once you have joined the MobiMOOC google-group, make sure you choose how you want to be kept up to date: recommended choices either an abridged e-mail (= you get a summary of the new activities each day) or digest e-mail (you get all the new messages bundled into one single mail per day). Google groups works like a listserv, so you can reply to a message send from the group via your e-mail, the google group mail: mobimooc (at) googlegroups (dot) com . After joining the group, please add a bit of information about yourself via the profile of your google group account, that way we all get to know one another a bit better. Get connected to the MobiMOOC twitter and Facebook account. So if you are interested, keep your agenda (a bit) free from 2 April - 14 May 2011 and join us. We learn for many reasons and most of the time we can plan what and when to learn, but sometimes we need to assimilate more knowledge than we had anticipated in a much shorter time span. This was what happened to me last week. Last week my blood glucose was completely of the charts. Where at first I thought I had a rapid functioning thyroid, it turned out to be diabetes, a late diabetes 1, which was undetected for months (hemoglobineA1c above 12) so I got rushed into hospital. Within five days I got educated in food, carbohydrates, insulin, using syringes, physical activity, possible consequences and getting to grips with something that will stay with me throughout my life. It was a hard blow and it still is. For seven days I refused to go online. I did not want the disease to infiltrate my life, and I did not want to share what I had out of fear of no longer being seen as ‘a strong professional’. This was an absurd train of thought, for I would not think of anyone having any disease as weak, but now with me at the receiving end it did feel that way for me. The hospital staff was supportive and they educated me day by day on how to cope with diabetes, what effects it could have, why it depended on three pillars: physical exercise, carbohydrates and insulin. Nevertheless my mind was in a constant state of blur. Where to find people in the same situation to exchange notes? I wanted to bring the diabetes closer to my own world. So, what were the mobile options, the gadgets? And I found some stuff that gave me hope. And I wondered, is there a system that can monitor your blood glucose ‘life’, and depending on this figure can inject the correct amount of insulin on a regular basis? Well, it seems there is, but still in a very early stages (nevertheless it does give me hope that there will be a fully tested device soon that will be able to monitor all – nano technology might help out as well). It is weird to see that diabetic is a mobile disease, for which you use mobile gadgets to keep up with it. All of this learning would not have been possible ten years ago. Or at least it would not have been as easy. Unfortunately though, learning only nourishes the ratio, and not the emotions. It must be said that learning is a rational act, and where we place our knowledge is a moral, emotional act which often takes more time than the simple picking up of information. To illustrate the discrepancy between learning and living what is learned, I add the last bit of this blogpost. At the moment I am still not feeling very well. It is like the proverbial emotional roller-coaster. 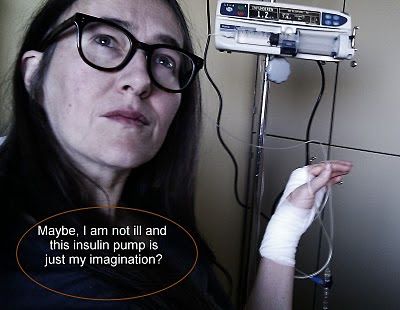 I understand that with the insulin I will live longer, but the uncertainty of having to rely on something outside of my body is difficult at times. 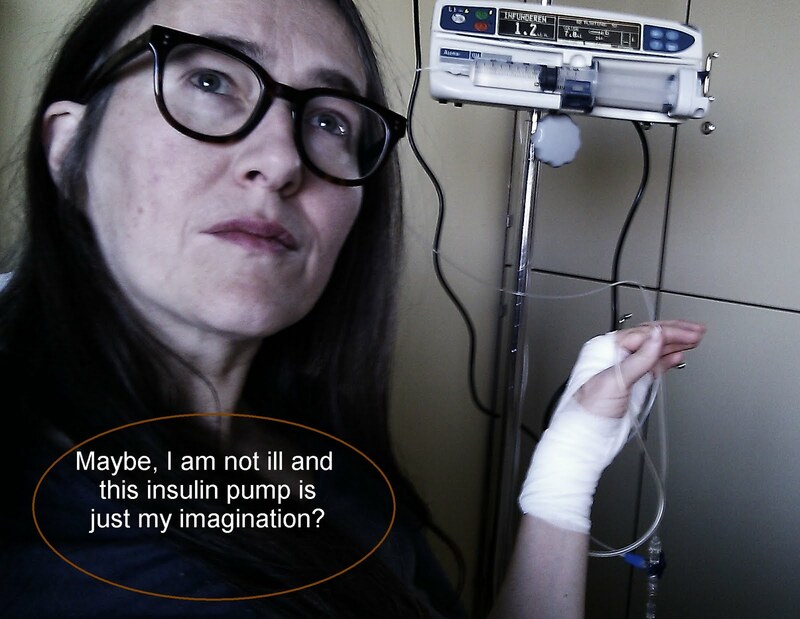 I got home by Friday night, and the first time I needed to put in insulin at home was quite confrontational, as suddenly also my 'safe world' was invaded, not only the surrealistic hospital world. I felt like I had stepped through a looking glass and I could not return to the world of the healthy people. It really feels as if I am on the other side surrounded by people in similar conditions. All along I felt a strange kind of guild: what if I had..., what if I had not..., ... how strange to seek a moral cause where morals do not have anything to do with it. 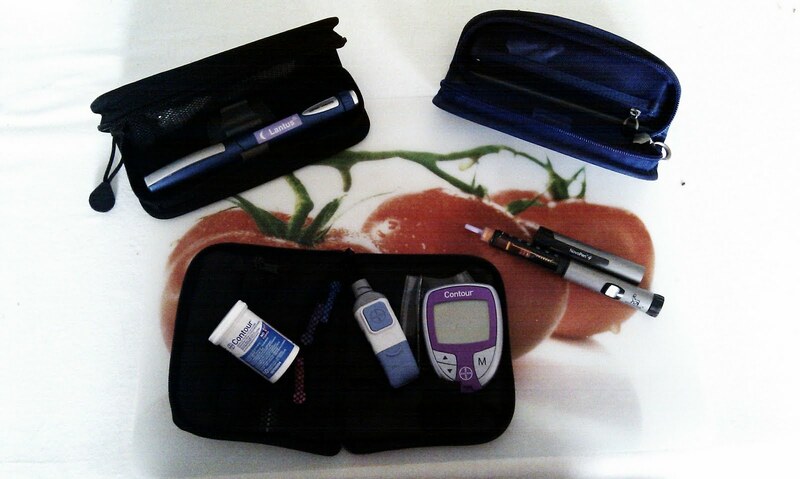 Diabetes can bring along some scary complications as well. My legs are hurting since I came out of hospital, which makes me feel very insecure for this might be a complication already. At this point I still hope the pain will fade as the surmount of sugar leaves my body. I hope this is not the first symptom of neuropathy (which scares the hell out of me). It seems that today I am also fighting, I have danced for 15 minutes to underline the fact that I refuse to live without action. It is strange to feel how my mind is rushing through iterations of emotions in an attempt to find a new equilibrium. And once again learning is what keeps me going.